From eating, breathing to thinking, analyzing various scenarios and feeling, everything is controlled by your brain. This jelly-like mass of tissue weighs around 3 pounds and is very susceptible to injury. Thus it is protected by the bones of vertebrae and cranium and then by cerebrospinal fluid. As human evolved over generations, the mass of the brain increased tremendously but our skull didn't grow resulting in the wrinkles that one can observe in the human brain. The brain can be basically classified into three region- the hindbrain, the midbrain, and the forebrain. All these parts work together but each part has its own specific function. The hindbrain is located on the upper part of the spinal cord and contains brain stem and cerebellum. The brain stem controls body's vital function such as breathing, heart rate whereas cerebellum is involved in the learned rote movement. The midbrain controls some reflex action and eye movement and other such voluntary movements. The forebrain is the most advanced part of the human brain. It consists of the cerebrum and the structure beneath it. The cerebrum sits at the top floor of the brain and is the intelligent center of the human brain. The cerebrum is divided into two equal halves called hemisphere by a deep fissure. These two halves communicate with each other through a thick tract of tissues that lie at the base of this fissure. Though the two halves seem to be the mirror image, they differ in their functions. The cerebrum is divided into four lobes, the frontal lobe is in action when you think or use a reasoned argument. When you are enjoying a delicious meal, your parietal lobe is in action and when you are enjoying the beauty of a landscape, it's because of your occipital lobe. Similarly, when you are enjoying a melodious music, it's because of your temporal lobe. flowing in a stressed situation. It basically controls various bodily functions by the release of hormones from pituitary gland.Near the hypothalamus lies the thalamus which acts as an intermediary for the information flowing between spinal cord and cerebrum. The other important part of the inner brain is the hippocampus, which is used to send information to appropriate part of the cerebrum for long term storage and retrieving them whenever needed. 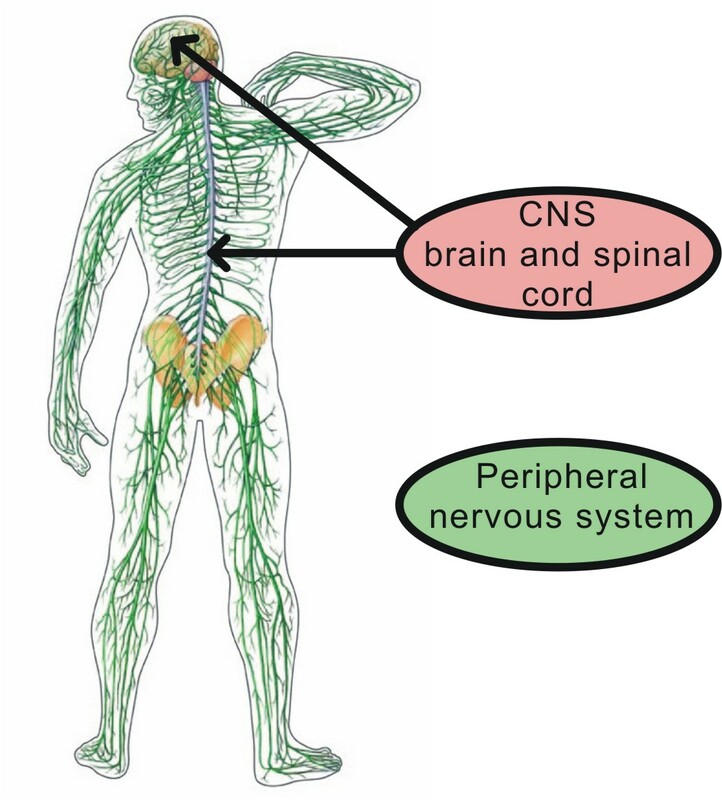 Before we understand, how the communication takes place between various body parts and brain, let me allude to central nervous system (CNS) and peripheral nervous system (PNS). CNS comprises the brain and the spinal cord whereas PNS comprises all the nerves that come out of CNS. Now the prime function of CNS is to integrate various sensory input coming from PNS and then responding to it both consciously and unconsciously. Also, all the communication takes place by relaying signals to and from the neurons. 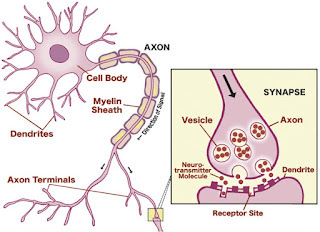 These neurons comprise of 3 parts namely cell body, dendrites and axon. Dendrites are called listeners which get the message from the neighboring neuron and pass it towards the axon. 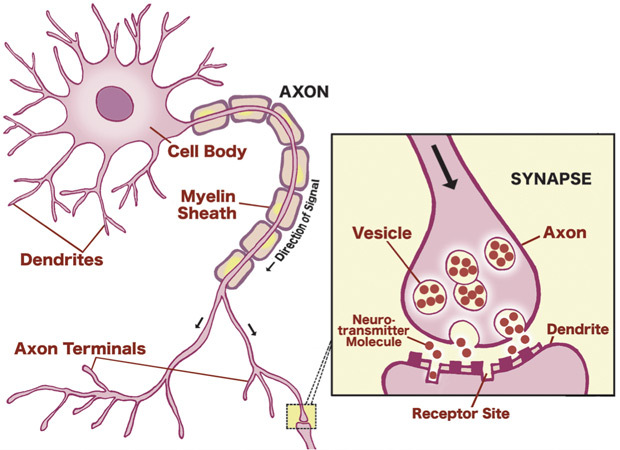 Axons are called talkers which in turn pass the coming message to the neighboring neuron. The place where the exchange of message occurs is called synapse. These messages are passed via the release of chemicals called neurotransmitters, these neurotransmitters pass the synapse and attaches to receptors thereby creating a potential difference and hence the new neuron passes these signal further. Now any communication can be broken into simple blocks. Input block will be the sensory input collected by the receptors (sensory neuron) in the PNS and then it is forwarded to the spinal cord and then finally to the brain. Now, upon reaching CNS , these information are then processed by the appropriate parts of the brain. Finally, the output is motor output where there is some movement in one or more parts of your muscles, these responses are carried to the muscles through motor neurons. Now I will try to illustrate all these points with an example. Suppose you are walking in the garden on bare feet. Suddenly a thorn pierces your skin and you feel a lot of pain. The mechanoreceptors in the skin of your leg are activated and an electric signal is passed via these neurons to CNS. Once it reaches the spinal cord, the spinal cord sends a response via the motor neuron which causes you to lift your leg at once. At the same time, this signal is passed to various parts of your brain like the hypothalamus which makes you emotional and you start to think why did this happen to me, is this the punishment from God for not doing my chores. Finally, the signal reaches to frontal cortex which starts to analyze the situation and then you start to think that you shouldn't have come bare feet to the garden and also start to think of the ways to stop the bleeding.